This article introduces an all-in-one Audio Converter for macOS to help you convert between all popular audio formats, extract music from video as well as edit audio in macOS. 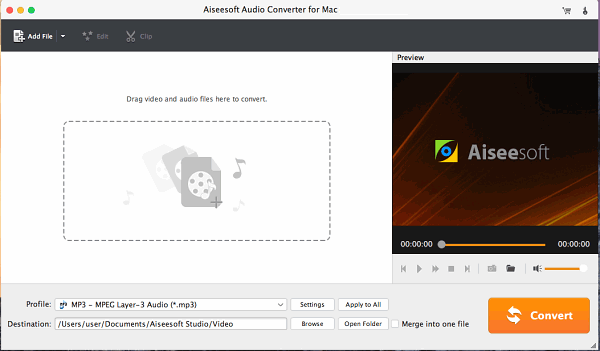 Aiseesoft Audio Converter for Mac is the all-in-one audio converter for macOS as well as video to audio converter for macOS. It can help you fast, batch convert between any audio format including MP3, WAV, M4A, WMA, AIFF, FLAC, APE, M4A, AAC, AC3, OGG, AUD, CAF, Apple Lossless ALAC etc. in macOS. In addition, the Video to Audio Converter for macOS can convert video to audio and extract music from video MP4, MOV, AVI, MPEG, MPG, 3GP, DivX, Xvid, ASF, VOB, MKV, WMV, H.264, 3G2, FLV, MOD, TOD, MTS, WTV, WebM, etc. and then convert to any audio format as you want. 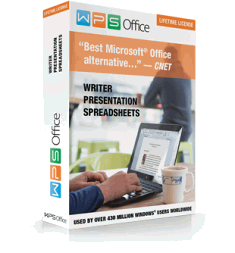 It is the ideal MP3 converter for macOS, WAV Converter for macOS, FLAC converter for macOS, WMA Converter for macOS and MP4 to MP3 converter for macOS. The Audio Converter for macOS is also built-in a wonderful audio editor, which you can merge lots of audio tracks into one file, split music file, increase audio volume and edit ID3 tags, etc. The audio converter for macOS is fully compatible with macOS 10.12 Sierra, OS X 10.11 El Capitan, 10.10 Yosemite, 10.9 Mavericks, 10.8 Mountain Lion, 10.7 Lion, 10.6 Snow Leopard, 10.5 Leopard. Download Audio Converter for macOS, install and run it. Click the “Profile” drop-down button to select desired audio format as output profile. Take converting MP4 to MP3 in macOS for example, choose “MP3 – MPEG Layer-3 Audio(*.mp3) from “General Audio” Category as the output format. Click the “Convert”” button to start converting audio or exact audio from video in macOS.